I am obsessed with pesto, I love it so much I could easily eat it everyday for the next year and still not be bored with it! 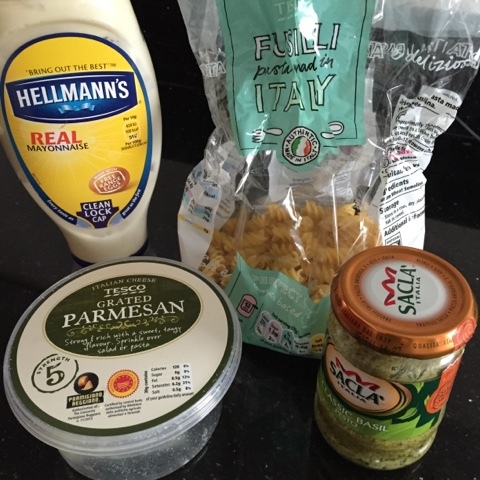 So I thought I'd share my recipe for a quick pesto pasta dish! 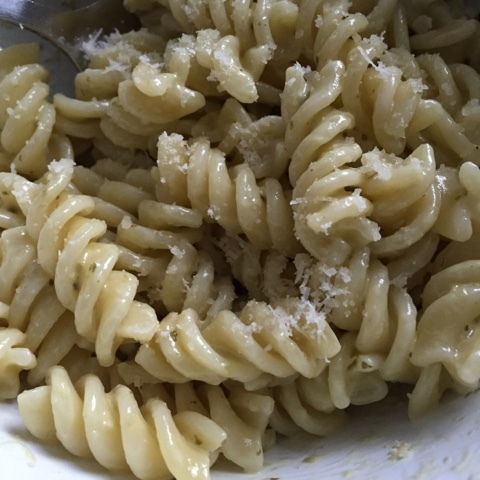 Now I use about 1-2 tablespoons of mayonnaise and 1 heaped teaspoon of pesto, sometimes I go for more pesto (because I love it that much) but if you're not as big of a fan, I'd stick with a teaspoon. 2) in a bowl, add the mayonnaise and pesto and mix to a paste, add a pinch of Parmesan to the paste so it's evenly mixed. 3) once the pasta is cooked, drain it and add it to the paste. 4) sprinkle a bit of Parmesan on the top and voila! So simple and doesn't take long to make either! You could add chicken or bacon bits if you fancy it. I would love to hear what recipes you have that include pesto!